Wild Kratts have invaded my house in a big way. It’s okay, because Birdy loves watching them and she learns all this random stuff about animals. (“MOM! The lion’s mane is the same color as the savannah grass,” yelled from her car seat as we’re driving. So I’m learning too, apparently.) She dons her version of a creature power suit and goes leaping all over the basement, pretending to be a lemur or some other critter. “MOM!! He has a Dexcom! !” she said one morning. “What’s that?” I asked her, coming over and sitting next to her while she’s watching television. “Look!” and she points to the screen. And here I thought Aviva was a glucose meter from Roche. 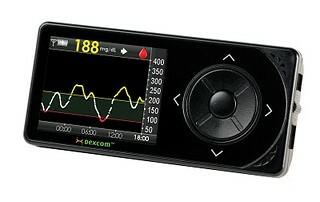 Dexcom SHARE with Bluetooth Thingy. Looking Back: PWD in the Wild. Circle. It’s a Good Tune. 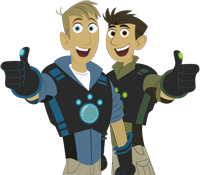 The Kratts are very frequent visitors in our house too. Sounds like your Birdy and my little guy would get alone great! I love this! My kindergarteners watch this sometimes at dismissal. Too funny!